When dining at LDV Hospitality's Scarpetta in NoMad this weekend, prepare for a boozy brunch with friends. The New York City dining establishment, Scarpetta, which received a James Beard Foundation nomination back in 2008 in the Best New Restaurant in America category, is adding a special addition to its original a la carte brunch menu on Sundays. Expect the eatery's signature spaghetti with tomato and basil, as well as new items such as ricotta pancakes with Chantilly cream and Vermont Maple syrup, and the shareable polenta with a fricasee of truffled mushrooms to make an appearance on the menu. 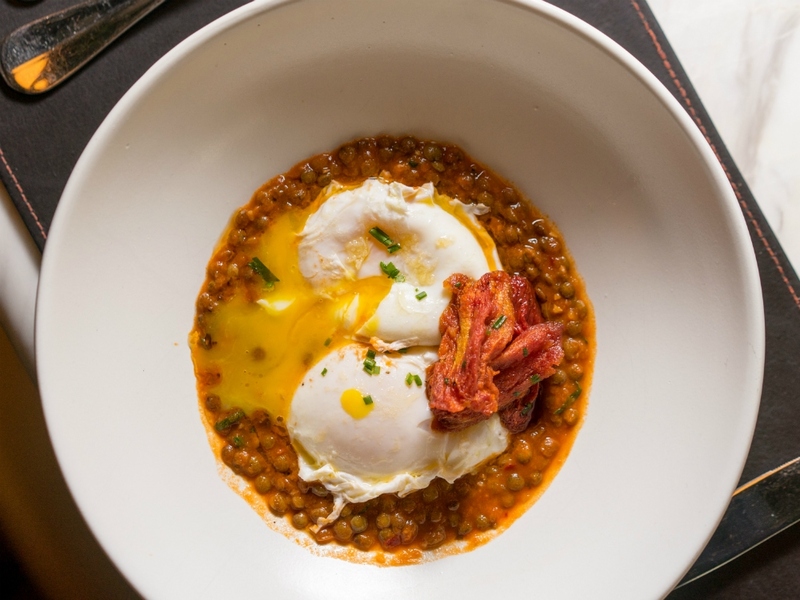 Of all the new dishes, LDV Hospitality Founder John Meadow, who owns the spot, points out his favorite: "We have a fantastic menu with delicious dishes, but if I had to choose a favorite it's the Scarpetta eggs in camicia." Post-brunch sweets include a Valhrona chocolate cake paired with chocolate banana toffee sauce and caramel gelato.